Save on admissions to museums and a zoo in Ueno! Ueno Park is one of the most visited areas in Tokyo with the city’s highest concentration of cultural institutions. Ueno Welcome Passport is now available for the very first time to offer discounts on admissions to various cultural attractions. The Passport provides access to 8 museums, galleries, and a zoo in Ueno, together with an exciting stamp collecting rally at 11 facilities. Attractive prizes await first visitors completing 5 or more stamps. We invite you to come explore the cultural and artistic city of Ueno with your Ueno Welcome passport. 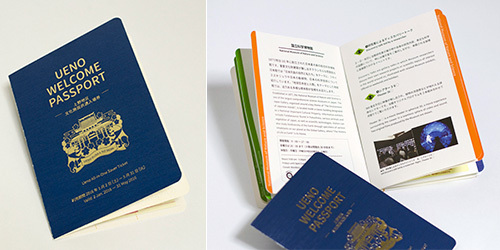 The Passport provides a one-time access to permanent exhibitions at each of 8 facilities; Tokyo National Museum, National Museum of Nature and Science, National Museum of Western Art, Ueno Zoological Gardens, Shitamachi Museum, Kyu-Iwasaki-tei Garden, Tokyo Metropolitan Art Museum, the University Art Museum Tokyo University of the Arts. It also includes a stamp rally at 11 facilities including International Library of Children’s Literature, Tokyo Bunka Kaikan, and the Ueno Royal Museum. 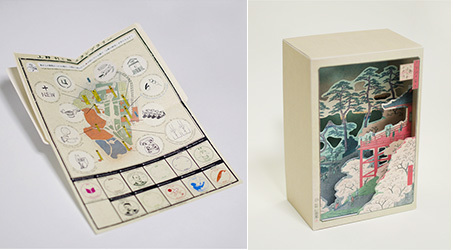 Collect 5 or more stamps to win a Ueno original paper diorama!